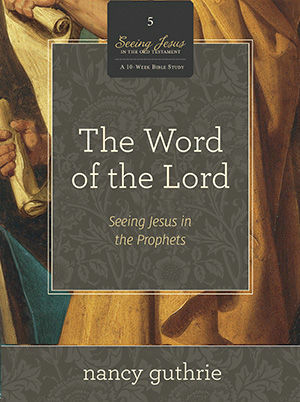 Gain a fresh perspective on the Historical Books—from Joshua to Esther—when you join Bible teacher Nancy Guthrie on this incredible journey to see Jesus in the Old Testament! 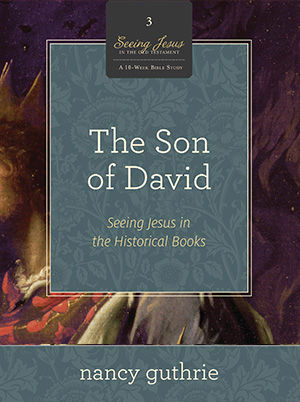 The Son of David features ten 40-minute sessions of Nancy Guthrie teaching with contagious passion and theological precision. Her engaging personal stories and authentic conversational style will help your group effectively study the Historical Books and give you new insight into Israel's history and God's kingdom, as well as a deeper understanding of Jesus as the fulfillment of Scripture! Gain a fresh perspective on the message of the Old Testament prophets, a broader understanding of Jesus as the fulfillment of Scripture, and much more when you join Nancy on this incredible journey to see Jesus in the Old Testament! 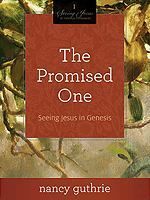 The Promised One provides a fresh look at the book of Genesis, leading women in discovering how its stories, symbols, people, and promises point to Christ. Over ten weeks of study, participants will see Christ as the agent of creation, the offspring who will crush the head of the serpent, the ark of salvation, the source of the righteousness credited to Abraham, the substitutionary sacrifice provided by God, the Savior to whom the whole world must come for life, and much more. This video companion to the book features ten 40-minute teaching sessions with Nancy Guthrie. Designed as a companion to the book, this integrated Bible study is perfect for groups or individuals studying the Old Testament. 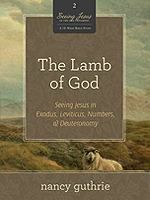 This video companion to The Lamb of God book features ten 40-minute sessions of Nancy Guthrie teaching with contagious passion and theological precision. Her engaging personal stories and authentic conversational style will help any Bible study group effectively study the books of Exodus, Leviticus, Numbers, and Deuteronomy.